Jill heard a knock at the door. "Come in," she called. It was Troy, and he looked upset. If he felt like he looked, this would be his second "upset" visit in two days. Jill blanked her screen, turned to face Troy, motioned to the chair in front of her desk and said, "Please." Troy sat. "I'm done," he said. "I'm here to let you know that I've requested reassignment." Jill had been optimistic at first — Metro­nome was her team's second project together and Daffodil had been very successful. Well, almost. With hindsight, Jill could see that Rachel and Troy had had some bumps over Daffodil. Now Metro­nome was becoming a disaster. Jill had tried everything. She'd worked with Rachel alone, and with Rachel and each of the three others who'd had difficulty with her. Finally she had referred the whole mess up to HR. Nothing worked. Jill wanted to keep Rachel, because she understood the driver software, but not if it meant losing everyone else. Ironically, Jill's solutions would all lead to the same outcome, because Rachel isn't the problem. For reasons unknown to Jill, transferring Rachel to another team would only create an unfilled conflict role that someone else would then fill. Here's why. Early in Daffodil, Troy and Jim had been "at war." Jill had separated them by assigning Troy some work that Rachel wanted, but had never asked for, and assigning Rachel some work she hated, but had never objected to. Since Jill stuck with those assignments for Metronome, Rachel had been fuming privately for months. Now she was always irritable, regularly lashing out. Rachel had placated — she hadn't expressed her discomfort to Jill. Troy and Jim had coped by blaming each other, and Jill had found a super-reasonable "peace" rather than working through everyone's issues, which continued to simmer. Rachel became the focus of the conflict, though she actually contributed only a small piece. by anyoneRachel became the identified patient — the one who exhibited symptoms of pain that was caused by imbalance in the overall system. The team saw the problem as belonging to Rachel, even though four people played roles in creating and maintaining the problem. Most group interpersonal conflict follows similar patterns. People who seem to be central — especially the identified patient — might only be peripheral to the conflict. People who seem to be peripheral or even helpful can actually be responsible, in part, for igniting and maintaining the conflict. Eventually, it all came apart for Jill's team. Rachel was reassigned, at great cost to her, to the team, and to Metronome. Jim and Troy were again working more closely together, and resumed their war. 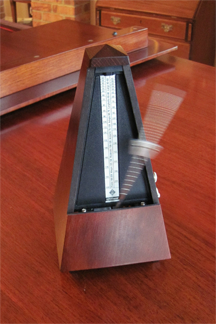 Jill was back to Square One — but now Metronome was late. Would you like to see your comments posted here? rbreniCdIWMLOHPniBqrjner@ChacnatOHxbrTdFfYJGVoCanyon.comSend me your comments by email, or by Web form. See also Conflict Management for more related articles. I offer email and telephone coaching at both corporate and individual rates. Contact Rick for details at rbrenHsHAZAQpowUPjXSUner@ChacBNYCTmBwVrtrGWTtoCanyon.com or (650) 787-6475, or toll-free in the continental US at (866) 378-5470.